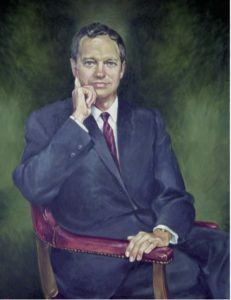 The EDWARD C. HINDS SYMPOSIUM is dedicated to the memory of Dr. Edward C. Hinds, Founder, Professor and Chairman of the Department of Oral & Maxillofacial Surgery at the University of Texas School of Dentistry at Houston. Dr. Hinds was a pioneer in the specialty and internationally renowned for his many contributions to oral and maxillofacial surgery. The organizing committee of the Edward C. Hinds Symposium feel we have assembled an excellent program that will offer valuable and practical information to surgeons in an environment conducive to bringing the family. On behalf of the Houston Society of Oral and Maxillofacial Surgeons and the Department of Oral and Maxillofacial Surgery at the University of Texas School of Dentistry at Houston, with joint providership with the American Association of Oral and Maxillofacial Surgeons,we would like to invite you to attend the 29th Annual Edward C. Hinds Symposium. This continuing education activity has been planned and implemented in accordance with the standards of the ADA Continuing Education Recognition Program (ADA CERP) through the joint efforts between the American Association of Oral and Maxillofacial Surgeons and the Houston Society of Oral and Maxillofacial Surgeons and the University of Texas Health Science Center, Department of OMS. CERP is a service of the American Dental Association to assist dental professionals in identifying quality providers of continuing dental education. ADA CERP does not approve or endorse individual courses or instructors, nor does it imply acceptance of credit hours by boards of dentistry. American Association of Oral and Maxillofacial Surgeons designates this activity for 13.5 continuing education credits. The American Association of Oral and Maxillofacial Surgeons designates this live activity for a maximum of 13.5 AMA PRA Category 1 CreditsTM. Physicians should claim only the credit commensurate with the extent of their participation in the activity.